Let us take care of your food scraps today! $11 per 32-gallon bin pick-up ($100 set up fee includes bins and training) We discuss your needs and determine the best container and schedule for your business. You provide the liners. We take it away! $10 per pick-up Monthly: $20 (bi-weekly), $40 (weekly) Get your neighborhood involved and save! We provide you a 5-gallon bucket and compostable liners and haul away your food scraps. Call, email, or sign up on this website to get started! Select weekly or every other week pickup (which we recommend to reduce the carbon footprint of hauling it away!) with rates listed above, and we will schedule a pickup day. On your first day of pickup, we deliver your starter kit: compost bucket, 8 gallon liner (we replace the liner each pick-up) , small compost bin to keep in the kitchen and a roll of bags (you replace the 3 gallon bags). On your assigned pickup day, leave your bucket outside your property in the agreed upon location. 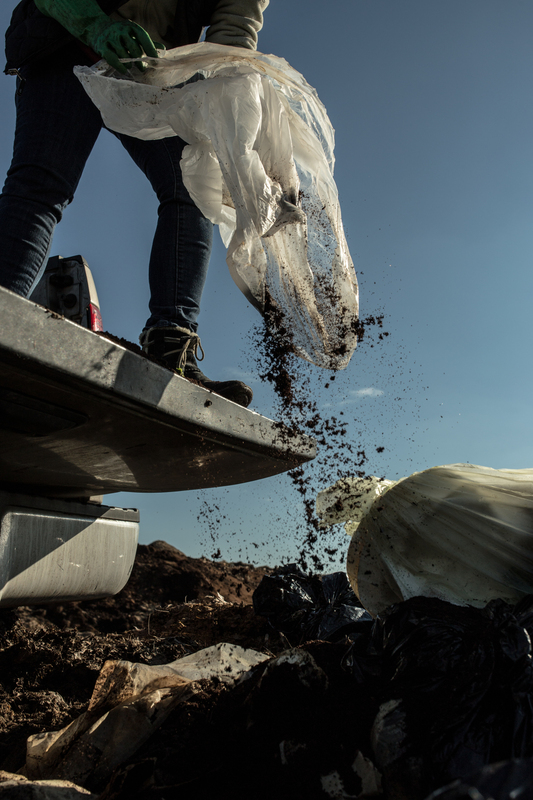 We pick up your bag of compost and bin between 8:00am - 8:00pm and replace them with a new 100% certified compostable liner so you're ready to keep composting without missing a beat! Let us do the dirty work and haul away your compost! Besides creating a rich soil fertilizer some refer to as “black gold”, it keeps over 36 million tons of food waste and organic matter out of landfills, where, as it degrades, emits methane, a greenhouse gas 20 times more potent than carbon dioxide in contributing to global warming. 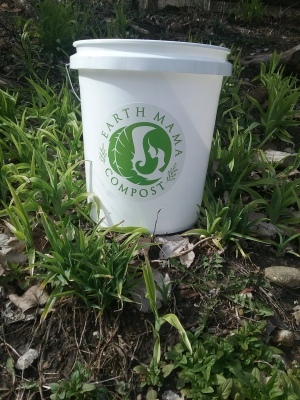 Be a part of a growing green movement in central Indiana - start compost pickup service with Earth Mama Compost today!